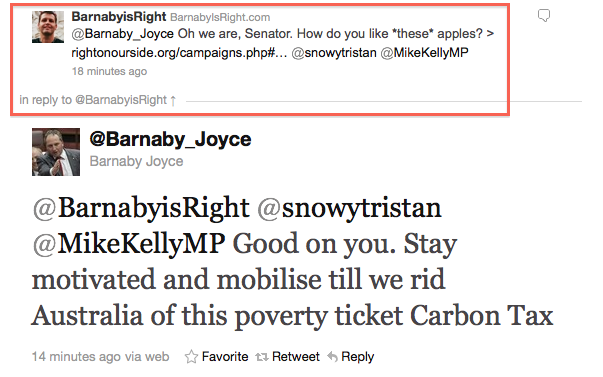 I wish you well, Barnaby, in the battle against tyranny. The same dark shadow of Big Brother is all around the globe now. b.) Scientists acknowledging a power greater than Big Brother. c.) Anyone believing there is a power greater than Big Brother. Big Brother’s propaganda specialists know that we differ little emotionally from the natives who sacrificed their own cattle and relatives to the Great Volcano God! In view of other evidence that bullying Big Brother is taking control of our government, I have wonder if stories about CO2 and even HAARP’s (High Frequency Active Auroral Research Program) influence on weather might be mostly bluff, i.e., an effort to convince citizens that Big Brother controls weather. Big Brother’s only strength is our fears of Big Brother. So hang in there, Barnaby! We’re all cheering for you. Come next election Gillard and company will feel the wrath of the people they have lied to and spurned at the polls. Personally I feel she should be banned from ruinning for ANY piblic office after this,due to incompetence. All I can say is keep the fire going,don’t let people forget what this government thinks and has done to them,as the election draws closer.